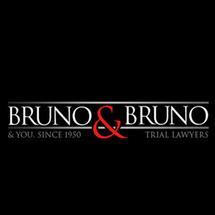 Bruno & Bruno is a preeminent plaintiffs' trial law firm specializing in the representation of people who are seriously injured in an accident or by a business relationship. Bruno & Bruno maximizes recovery for people who have been hurt by defective products, unsafe cars, tires and drugs, dangerous workplaces and business fraud. Our experience covers the full range of personal injury and business torts, litigation matters, including class action lawsuits. The Bruno family and law partners realize the role they have been assigned as legal counsel and embrace the fact that the job they do can leave an indelible mark in the lives of our clients and their families. Reichert , Don D. Jr.